The 2015 Michigan Amateur’s final four is set: Austin Jenner, Ryan Johnson, Bret Quitiquit and Korey Roberts. Jenner and Johnson will tee off at 8 a.m at . The match between Quitiquit and Roberts is set for 8:15. The winners will meet for the final match Friday afternoon. The 104th Michigan Amateur Championship is presented by Miles of Golf/Kendall Academy/Titleist and is held at Plum Hollow Country Club in Southfield. As host of the 1947 PGA Championship, Plum Hollow is a part of Michigan’s proud history of Major golf championships. Austin Jenner, a 17-year-old from West Branch defeated defending champion Henry Do 2-up to advance to the final four. Ryan Johnson of New Boston knocked off Michigan Golf Hall of Famer Tom Werkmeister of Kentwood 3 and 1. Bret Quitiquit of Highland took down one of the pre-tournament favorites in Otto Black of Pinckney 2 and 1. Kory Roberts of Battle Creek topped veteran standout Steve McKalko of Troy 1-up. 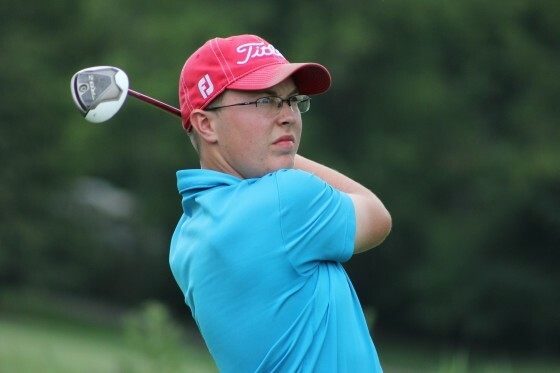 Jenner has had perhaps a surprising run through the match play portion of the tournament, defeating not only Do, but also qualifying medalist Reed Hrynewich of Muskegon. Johnson, a 30-year-old club fitter for Carl’s Golfland in the Detroit area, shot 78 in the first round of stroke play qualifying Monday and came into the event after missing the cut in the Michigan Open. Quitiquit, the 26-year-old assistant golf coach at Siena Heights University, felt like his win over Black was an upset, and he was happy he survived in 19 holes against Tiffin University golfer Brett Green in the round of 16. Roberts, a 22-year-old Northwood University golfer, called his match with McKalko nerve-racking. He hit a 30-foot putt with 15 feet of break in it on 18 to inches for a conceded par, and then McKalko missed a five-foot par-saver putt and lost the hole and match. Roberts d. Rodes 4 and 3. The match play bracket can be found at www.gam.org. As with all GAM tournaments, spectators are welcome and admission is free. Live scoring is also available at www.gam.org where you can find daily tournament coverage and photo galleries. Also, friend and follow the GAM on Facebook and Twitter.